Metro: None, perhaps Spagna. An alternate is to take Bus 40 or 64 (get off at Piazza San Panteleo, 2 stops past Piazza Venezia, then walk 1 block north from there). 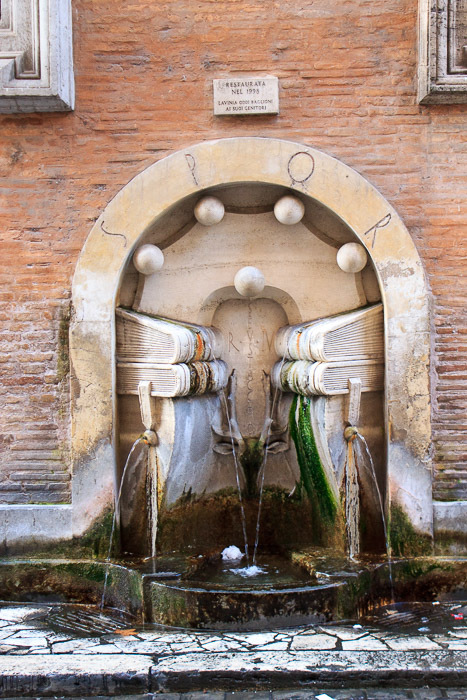 The Fountain of the Books is a simple wall fountain located a block east of the southern end of Piazza Navona. Water flows from books into a small basin at ground level, or out into drains just outside the basin. According to the inscription above the fountain, it was restored in 1998. 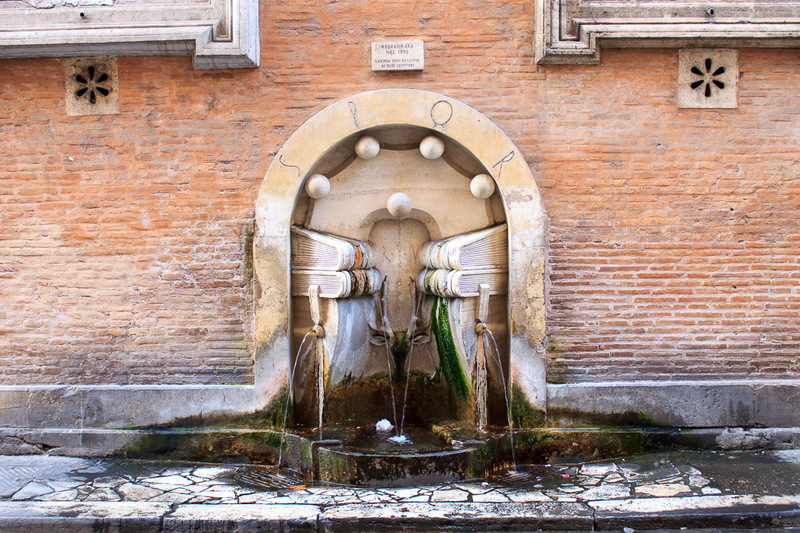 The inscription between the books is "SEVSTACCIO R IV", and is the name of the Rione (district) that the fountain is located within (S. Eustachio) along with the Rione number (4), but is mistaken since S. Eustachio is actually Rione VIII (8), not Rione IV (4). So the engraving is a bit of a blunder. Perhaps the message is, "You can't believe everything you read"? See all Fountain of the Books photos.